Waiting for the car to develop a problem is the worst thing to do. If your car won’t start then it is inevitable to get a new car battery. According to recent research majority drivers will only purchase a new battery after a car breakdown. 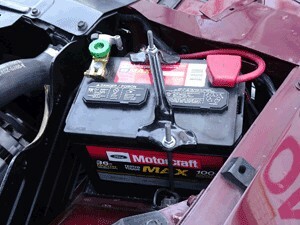 It is possible that you will have to do car battery replacement once or twice in the lifespan of any kind of vehicle. This is because the car will get worn out due to discharging and recharging. If you have experienced a dead battery, then you know the hassles already and you cannot locate the jumper cables and the only way is to park at the roadside and wait for help. We have various kinds of car battery and we can purchase them in household electronic shops. How can we benefit from using good auto batteries? High energy density: While using a good battery we obtain high power ratings. The compact sized batteries are the popular brands purchased by many car owners. Reduced maintenance: When we consider a good auto battery there is no need for maintenance practices in order for them to yield high performance. However poor batteries would require regular discharge to increase overall performance. Fast charging: Good auto battery is fast charging. The time limit for charging the battery is lot less compared to alternative batteries sold in the market. The charging of the batteries enables regular use. Light- weight: The best kinds of batteries are relatively lightweight. This may not mean that they are smaller but overall weight matters. Low discharge rates: Majority of car batteries lose a lot of charge after disconnection. A good auto battery has low discharge rates when compared to other types of batteries. Batteries made from Nickel cadmium will lose charge at faster rates especially when not in use. Longevity: Good batteries have greater longevity and it also continues to yield better performance over a longer period of time. Additionally, they can have regular charging with no capacity difference. Your automobile electrical power is obtained from the battery whenever it recharges and charged by alternator where the engine turns over. When you start the car and you get the (RRRRR RRRR sound) while the headlights brighten at low perception, worst still the engine does not turn on as you flip the key to activate the motor starter then I can assure you are in great trouble! Most times the battery requires to be charged. The worst part is that the same battery may be completely worn out and needs replacement. What can you do when your battery requires replacement? Well, it is better to diagnose and test at the mechanic backyard. We have local auto garage that have several technicians who may provide and accurate test result within a short time. In instances where the battery does not require a replacement then you need to simply charge it using available options. When the battery is still under warranty then you can charge at ‘pro-rated costs’ in which you share the cost to get a new battery while this largely depends on the period you drove the battery from the purchase date. This is similar to the upgrade for cell battery where you have full term contract before time of warranty ends. If the battery is not on warranty terms then you need to purchase a new battery. Replacing the battery is done per its capacity as well as its size area—its range of fit. The determining factor is its cranking capacity- the starter motor capacity as well as climatic concerns. Ensure the cables are cleaned: Clean the battery after disconnecting the cables using a wire brush containing home- made cleaning mixture (baking soda mixed with water) the mixture may as well clean the battery top while applying the solution with a paint brush. Post lubrication: While reducing corrosion, it is good to apply petroleum jelly so that the cables are clean. The jelly also enables you to slide all cables on the battery faster. If you need to get a good auto battery than you need to consider all tasks which are performed annually in order to keeps the battery in better working condition. If you protect and do all the battery maintenance tasks chances are your battery will have an extended battery life. That’s it! Never overlook the battery since it is functioning as you need to monitor it, if not it will fail at unexpected time!